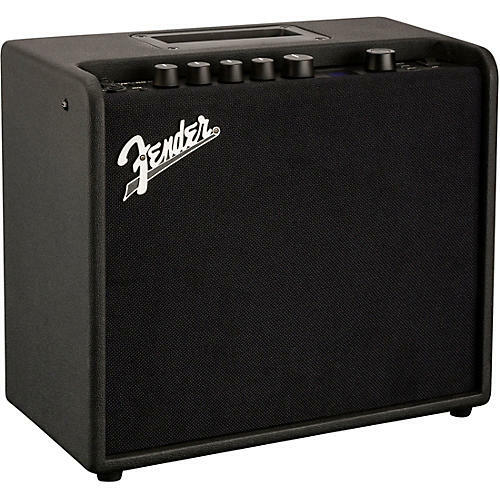 The Fender Mustang LT25 25W 1x8 guitar combo incorporates lessons learned over decades of producing the best-sounding guitar amps on the planet. It’s ideal for beginners and students, with a super-simple user interface and a collection of 30 presets covering a wide range of music—a “greatest hits” of electric guitar tones. The versatile signal chain with high-quality onboard amp and effects models produces amazing tones, making it an ideal practice amp for home or office.